We all have a keen cyclist in our life, but what do we get them for Christmas? Well, worry no more. From helmets and cycle computers to indicators and bike racks, here are our top 10 gifts for cyclists this year. 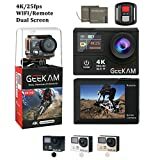 Even the most basic bike computers like the Mio Cyclo 210 and Wahoo ELEMNT Bolt are becoming increasingly complicated. They’re great for navigating, but they’re also packed with so many features that the casual cyclist doesn’t need nor want. The Beeline is an antidote to that. 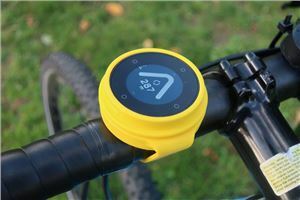 Just fit it to your handlebars, input a destination via the smartphone app and it’ll give you turn-by-turn directions to your destination. We're rather taken by the Beeline. Serious cyclists will want more features, but it's a great gift for the casual bike rider. The Beeline offers a great battery life and there’s a built-in sense of fun about it. It creates opportunities to explore areas, and it’s especially cool around town. The Honit Clug claims to be the world's smallest bike rack. 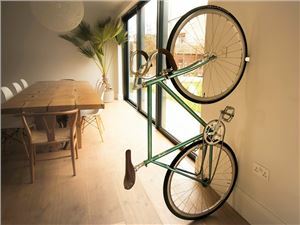 Perfect for urban cyclists that often have less indoor space to store a bike, the Clug just needs to be drilled into a wall and the bike is ready to fit on. 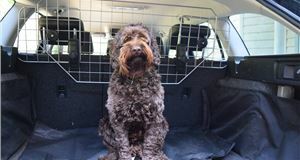 You can get different size Clug racks for different size bikes tyres as well, so make sure you order the right variant dependent on whether you have a road, mountain or hybrid bicycle. With Christmas fast approaching, it's time to crack out the old ugly Christmas jumper. 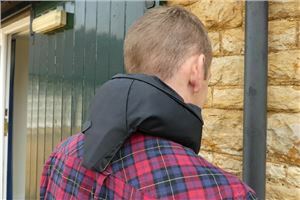 But your warm jumper is a bit too heavy for cycling, right? Well, here's your solution. 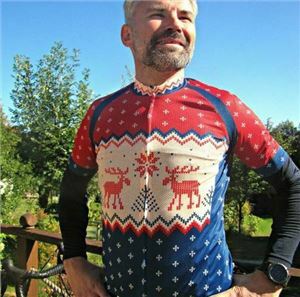 This light lightweight polyester Christmas jumper jersey will keep the spirit of St Nick alive while you go for your post-Christmas dinner ride to burn off those roasties. The jersey wicks moisture and is quick drying so it can be washed and worn the following day as well. It features three rear pockets for your phone, or a mince pie, and reflective side tags. It's the ideal gift or stocking filler for the cycling enthusiast in your life, with sizes ranging from small to XL. The Mio Cyclo 210 is its entry-level unit with the likes the Wahoo’s ELEMNT Bolt in its sights. Headline features include a 10-hour battery life, Strava connectivity and a Surprise Me feature — which can create its own routes depending on how far or for how long you’d like to ride. There’s no ANT+ connection so you can’t connect it to a heart rate monitor, nor is there Bluetooth. That means if you want to transfer routes to or from the 210 (or pair it with Strava), you have to connect it to your computer using a lead. 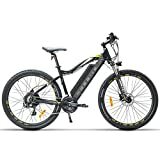 Although the Mio Cyclo 210 is more user-friendly and looks smarter, plus it’s painless to set up and does the basics very well. Every year, there are approximately 19,000 accidents involving bicycles on the UK’s roads, with 75 per cent of them occurring at junctions and major turns. 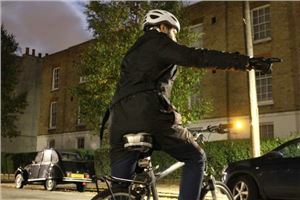 When using WingLights (in addition to arm signals), you increase the likelihood of being seen by drivers and other cyclists. With WingLights Fixed, the LED indicators screw straight into your bike's handlebars. The mount system for the handlebars are compatible with handlebars with an inner diameter from 14.7mm to 23mm. Worn around your neck like a scarf, Hövding contains hundreds of sensors that will trigger an airbag to inflate to protect your noggin in the event of an accident before you even hit the ground. 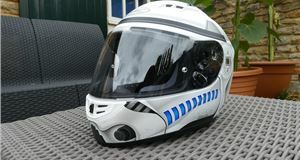 The market for commuter cycling helmets is jam-packed with decent options that sit between £30 and £60 for the most part - so the price tag of the Hövding is definitely going to put a lot of people off. But the Hovding isn't a helmet, it's an airbag. And that's why the price is justifiable to those who are serious about safety. If you're looking for a solution to keep you safe (very safe) while you cycle, that won't give you helmet hair and that you can just chuck into a bag instead of lugging around - then the Hovding 2.0 is it. The Trekz Titanium wireless stereo headphones are a safe alternative to traditional sports headphones. Bone conduction tech means you get crystal clear music and hands-free calls without having ambient noise like traffic completely blocked out. 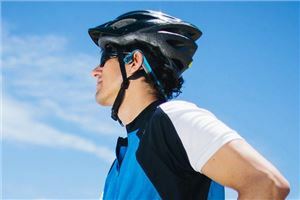 Bone conduction transducers deliver music through your cheekbones, leaving your ears free to listen to the world around you as you cycle, run etc. Designed with athletes in mind, Trekz Titanium are sweatproof, secure and comfortable. They also offer a six-hour battery life. Most cars in the 1970s and 80's had rain gutters, so the whole business of attaching roof racks became a bit more complicated when these were removed. But Thule has the answer. 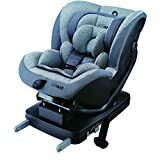 Browse its website and you’ll find choices for model years as far back as the 1970s, so if you’re a classic car driver with a penchant for pedal power at your destination, all is not lost. 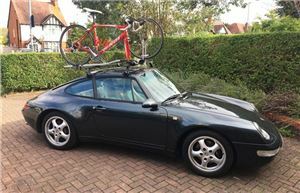 Admittedly, it might take a bit of detective work to find a suitable set-up - but if you’ve got an older car and need to carry bikes (or indeed fit roof boxes, skis, boards or boats) to it, the Thule 951 kit works beautifully. 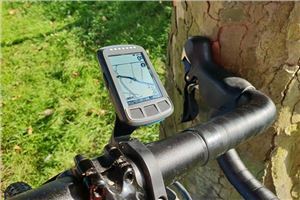 Whether you’re a serious cyclist or just want to make life easier on your day-to-day bike rides, a GPS computer like the Wahoo ELEMNT Bolt can be an easy way of accessing route information and finding out just how well you’re performing. The Bolt can also pair directly with ANT+ sensors, like Wahoo's TICKR Fit heart rate monitor (as well as power meters, speed sensors, cadence sensors etc). If you’re a gadget geek and a keen cyclist, the ELEMNT Bolt is made for you. 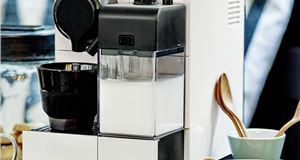 It’s the kind of computer that you’ll forever be uncovering clever features on, but you don’t need to be tech-savvy to use it. It’s really easy to fit and start using, and that’s kind of the appeal. 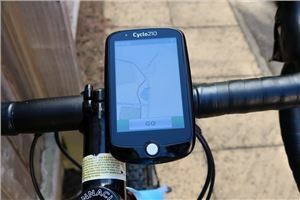 If your less handy with a smartphone, and want smarter-looking navigation — the more affordable Mio Cyclo 210 would be our choice. 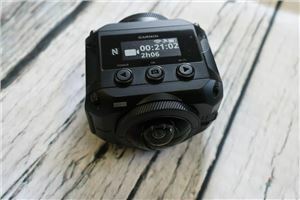 Technology like this is expensive, but Garmin reckons its VIRB 360 — which retails for around £650 — hits the sweet spot between amateur enthusiast and serious filmmaker. And it’s packed with features, including live streaming, WiFi and built-in GPS. The two large CMOS sensors are 12-megapixel, each with 201.8-degree field-of-view. The camera stitches together two videos, one from each lens (offering a resolution of up to 5.7K @ 30fps depending). If you’re the kind of person who leads a very active lifestyle and wishes to share it with your friends, it’s a very cool way of doing that. Especially if you know how to edit footage (and have £650 kicking about). 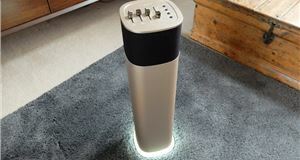 There are issues; it can be underexposed, and we’d like a longer battery time, but any camera as small and robust as the VIRB 360 is going to have compromises.